Western Sahara was previously a colony of Spain, which withdrew from the territory in 1975, after, inter alia, the International Court of Justice recognized the Sahrawi’s right to self-determination. However, Western Saharan territory was immediately claimed by its neighbouring country Morocco, which – after a brief conflict – soon occupied the major part of Western Saharan territory, despite international criticism. Until today, Morocco continues to consider the territory as its own. While the EU does not formally recognize Morocco’s sovereign claim over Western Saharan territory, it has concluded preferential trade agreements with Morocco. These did not explicitly exclude Western Sahara from their scope of application and they have de facto been applied to Western Saharan territory. This invites the question whether goods originating in Western Sahara can be traded under the EU-Morocco trade agreements as goods originating in Morocco. In the Front Polisario case, the CJEU cleverly ruled that the Liberalization Agreement did de jure not apply to Western Sahara given the Sahrawi’s right to self-determination under international law. In doing so, the CJEU managed to avoid the tricky question concerning the validity of the Agreement under EU or international law. While the Liberalization Agreement could perhaps reasonably be construed as not applying to Western Sahara in the first place, the Fisheries Agreement does not leave so much interpretive leeway: charts developed by the Commission – in accordance with the specifications set out in appendices to the Agreement – clearly demonstrate that the fishing zones indeed include Western Sahara and its adjacent waters (AG, paras. 60-75). In all likelihood, the CJEU will thus have to confront head-on the question of whether the Fisheries Agreement is valid. The AG, in any event, did so, and concluded that the Agreement should be considered invalid because it is incompatible with (in particular) the Sahrawi’s international right to self-determination. It is recalled that also in Front Polisario, the validity of an EU-Morocco trade agreement (the Liberalization Agreement) was at issue, at least in the proceedings before the EU General Court (GC). However, the partial annulment of that agreement was based on the EU Charter of Fundamental Rights rather than on its incompatibility with international law. The opinion of AG Wathelet regarding the Fisheries Agreement is ground-breaking in the latter respect, since it grounds the invalidity of the agreement on multiple international norms and regimes, namely the international right to self-determination of the Sahrawi, international occupation law, and the international duty of non-recognition of illegal (territorial) situations. The AG’s opinion invites a number of critical comments, which in the context of a blogpost can be outlined only very briefly. The gist of the AG’s argument is that the Fisheries Agreement violates the Sahrawi’s international right to self-determination, and should on that ground be considered invalid. That argument is persuasive, but more questionable is the AG’s assumption that the Fisheries Agreement would continue to apply internationally in the event that the CJEU were to consider the Fisheries Agreement as invalid. Under international law, if a treaty conflicts with a peremptory norm of international law such as the right to self-determination, that treaty is internationally void and should thus be disapplied (see Article 53 of the Vienna Convention on the Law of Treaties, as has also been pointed out by Milanovic). Also not fully persuasive is the AG’s primary argument that the EU itself violated the Sahrawi’s right to self-determination by concluding the agreement. Is the EU not a secondary rather than primary wrongdoer, as the agreement (only) facilitates Morocco’s violations? The AG appears to be aware of this, and develops this form of secondary wrongdoing in an alternative argument, and grounds it on the EU’s international ‘obligation not to recognize an illegal situation resulting from the breach of the right of the people of Western Sahara to self-determination and not to render aid or assistance in maintaining that situation’ (para. 160 of the opinion). Arguably, this duty of non-recognition entails a general prohibition of concluding (trade) agreements with Morocco in relation to Western Saharan territory, as such agreements may amount to an illegal recognition of Morocco’s claim of sovereignty over Western Sahara. This view is defensible, although not universally shared (see, for instance, the work of Kontorovich (against), Crawford (moderate) or Dubuisson and Moerenhout (both in favour)). What is more perplexing, however, is that while the AG embraces the international duty of non-recognition in the context of trade agreements, he does not accept the exception to this general prohibition, namely that non-recognition should ‘not result in depriving the [local population] of any advantages derived from international co-operation’ (International Court of Justice, Advisory Opinion in the case of Namibia, para. 125). Application of the Namibia exception could keep the door ajar for preferential EU trade access of certain products originating in Western Sahara, provided that such trade benefits the local population (see notably the arguments of the Commission in the case, and also Benvenisti p. 85). The AG’s argument that the factual situation in Western Sahara or Northern Cyprus (with respect to an earlier case brought before the CJEU), differs from the situation in Namibia at the time does not convince, as all are situations of belligerent occupation (para 291; as is also the situation in Northern Cyprus for that matter). The practical relevance of the AG’s rejection of the Namibia exception for the outcome of the case should not be exaggerated, however. After all, apart from the general duty of non-recognition of illegal situations, the AG also applied the law of occupation, a branch of international humanitarian law which features a rule that is strikingly similar to the Namibia exception, a rule which provides that economic exploitation of occupied territory is allowed (only) in so far as this comes to the benefit of the local population (Rule 55 of the 1907 Hague Regulations). The AG argues that, going by the facts of the case, the Fisheries Agreement does not benefit the local population, nor did the EU include any safeguard in the Agreement to ensure that Morocco’s exploitation of Western Sahara’s fisheries would be done in a manner beneficial to the local population (para 279-285). That is a fair assessment in our view. For that matter, the AG’s approach is reminiscent of the EU General Court’s aforementioned judgment in Front Polisario, in which it partially annulled the Council decision on the EU-Morocco Liberalization Agreement on the ground that the Council had failed to properly examine beforehand whether the agreement would not result in a production of goods for export to the detriment of the local Sahrawi population, or that would entail an infringement of fundamental rights laid down in the EU Charter on Fundamental Rights (see para 228 of the GC judgment). It remains now to be seen, of course, whether the CJEU will follow the AG’s line of argumentation, also in light of its earlier judgment in Front Polisario. It appears unlikely, in any event, that the CJEU will again manage to skirt the thorny issue of Morocco’s occupation of Western Sahara. The text of the Liberalization Agreement may have left open whether the Agreement de jure applied to Western Sahara, which allowed the CJEU to use less politically controversial treaty interpretation techniques to exclude Western Sahara from the territorial scope of the Agreement (and to rather conveniently dismiss Front Polisario’s application for lack of standing). In contrast, the Fisheries Agreement has been acknowledged by both the Council and the Commission as applying de jure to Western Sahara; as mentioned above, the annexes to the Agreement leave little doubt in this respect. A direct, politically sensitive validity review of the Agreement then appears almost inevitable. If the CJEU were to declare the Agreement to be invalid, this may obviously be a bombshell from a political perspective. 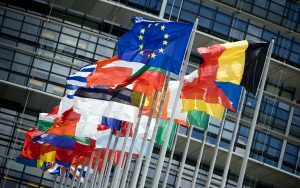 The EU executive branch has so far carefully refrained from issuing bold statements regarding the international status of Western Sahara as an occupied territory, reflecting political disagreements between EU Member States (see the analysis of Sakthivel for the European Council on Foreign Relations). The CJEU may soon force the EU to do just that.